BAGHDAD – Saudi Arabia stumbled on the finish line 2018. The war in Yemen became faster. Its reputation was seriously damaged by journalist Jamal Khashoggi's death. Its regional rival Iran solidified its power in Syria. But as the old year gave way to the new, the desert kingdom could count on at least one success: the common sea maneuvers called Red Wave 1. 1; and Saudi power projects into the Horn of Africa. Although they gathered little attention, the military maneuvers were the state's last bid to establish their dominance in a region – and a water source – increasingly broken by regional rivalries. The killing of Khashoggi, who brutally blamed on the leaders of the kingdom and made his worst diplomatic crisis since the attacks of the United States on September 11, 2001, has strained relations with his once-trusted Allies in Washington. It has driven Saudi Arabia to turn to Horn of Af rica to protect its western flank and develop its own security doctrine. Working in concert with the United Arab Emirates, it has teamed up with the distortion of Africa, where the partners of the two Persian Vikings have built several military bases, portals of how these plans have become more acute like Saudi rivals – Iran, Turkey and Qatar, Not to mention global powers like China – has constructed its own foothold in countries calling the Red Sea and especially in the Horn of Africa. Saudi Arabia's Foreign Minister Adel Jubeir said so much during the first announcement in the Red Sea alliance with Jordan, Egypt, Sudan, Somalia, Djibouti and Yemen last month. "The more collaboration and coordination you have among the countries of this region, the less negative is affected outside this area," Jubeir said without stating the source of this outsider e-influence. "This is part of the nation's efforts to protect its interests and its granners and … to stabilize the region we live in and try to create synergies between the different countries." Israel, probably the most powerful actor on the Red Sea, was also not invited to participate, despite evidence of its growing ties to Saudi Arabia. It remains a polarizing presence in the region. For decades, nations at the Red Lake had a small need for a common security mechanism for the simple reason that great world powers saw it as too important to be subject to upheaval. The waterway handles about 13 percent of the world's global trade. It is bound from the south by the Bab al-Mandeb route, an 18-mile pivot between the Middle East and the Horn of Africa, through which estimated 4.8 million barrels per day of crude oil and refined petroleum products flowed to Europe, the United States and Asia 2016, according to US government figures. In the north lies the Suez Canal, which connects the Red Sea with the Mediterranean region and in 2016 handled 3.9 million barrels per day of crude oil and refined products, according to data published by the Suez Canal Authority. Threats to this trade have made the countries work together to ensure that the Red Sea remained open f or broadcast despite conflicts and instability. One example was the issue of Somali pirates, whose activities on the Red Sea (which peaked between 2007 and 2012 but have gone away) brought in both NATO and 17 non-NATO nations in a joint operation to end the threat. But in recent years, the Red Sea and especially the coast from the Horn have become a chessboard for the golfing states' newfound assertiveness. Their "ATM diplomacy" with billions in petrodollars has only intensified before flaring tensions in the region. Saudi Arabia and the United Arab Emirates are afraid that anxiety from opponents Iran, Qatar and Turkey may clog the Hormuz route, their top line for most of their exports. Another concern is the war in Yemen, where a Saudi coalition violates US support for Iranian-backed Houthi rebels. These rising threats come at a time when US involvement in the region weakened, forcing Saudi Arabia and the United Arab Emirates to focus on their own security needs, says Elana Delozier, a gulf expert at the Washington Institute for Near East Policy. "The Yemeni crisis, Somalia's problem, Turkey comes to Sudan, piracy … all these things are worried about the emirates and Saudi Arabia," Delozier said. 19659003] "And before they could count on the 5th Navy and the US presence, they may not feel they can anymore." 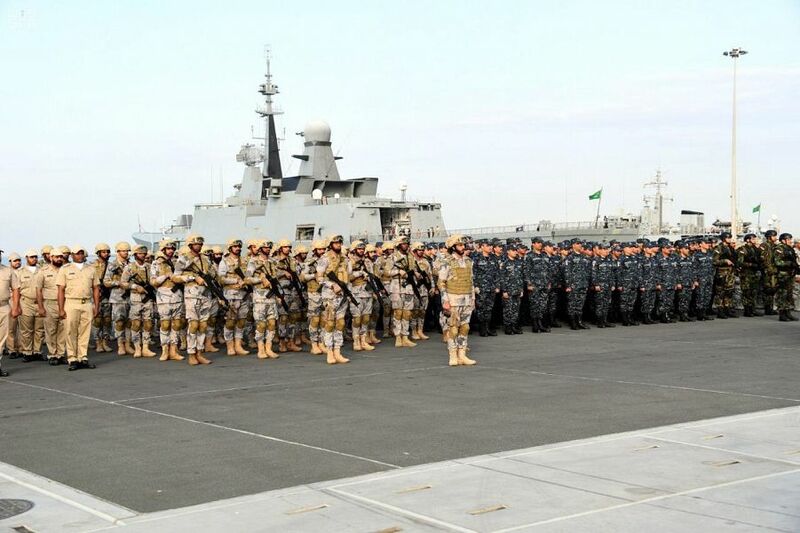 At the same time, both blocks – the Saudi Arabia Alliance and its opponents – have played a game of geopolitical controls with the African Horns Red Sea ports. Last year, Qatar signed a $ 4 billion deal to develop the Sudanese port of Suakin, just 200 miles southwest of Saudi's Jeddah port. Turkey is also there with a 99-year lease agreement to restore Suakin's Ottoman port, revive the area as a tourist destination for pilgrims tied to Mecca and build a shipping that could provide the basis for future military cooperation. Minister, Ibrahim Ghandour. The United Arab Emirates and Saudi Arabia have also been active in the area, the former forging its own path in Africa for almost a decade. The Emirates was the driving force behind a peace agreement ending a protracted dispute between Eritrea and Ethiopia. After the Emirates were appointed from Djibouti in 2015, they switched their military operations to a base in Eritrea. Saudi Arabia has meanwhile agreed with Djibouti to establish a base in the small African state, the first foreign military outpost. Both blocks also have millions of dollars of aid in front of African countries in an attempt to gain their fidelity and expel forces on the other side. Saudi Arabia is now Africa's fifth largest investor, and more than 20 African heads of state have traveled to Riyadh to meet Saudi's leader King Salman. The establishment of the Red Sea alliance comes at a time when Saudi Arabia is driving large development plans on its 1,120-kilometer-long coast by the sea, part of its vision 2030 aimed at declining from the oil change and diversify their finances. One of these initiatives, the Red Sea Project, aims to convert about 13,000 square kilometers of land near the west coast of the kingdom into a luxury tourism destination. Another is Neom, a $ 500 billion city that will include land within the borders of Jordan and Egypt.